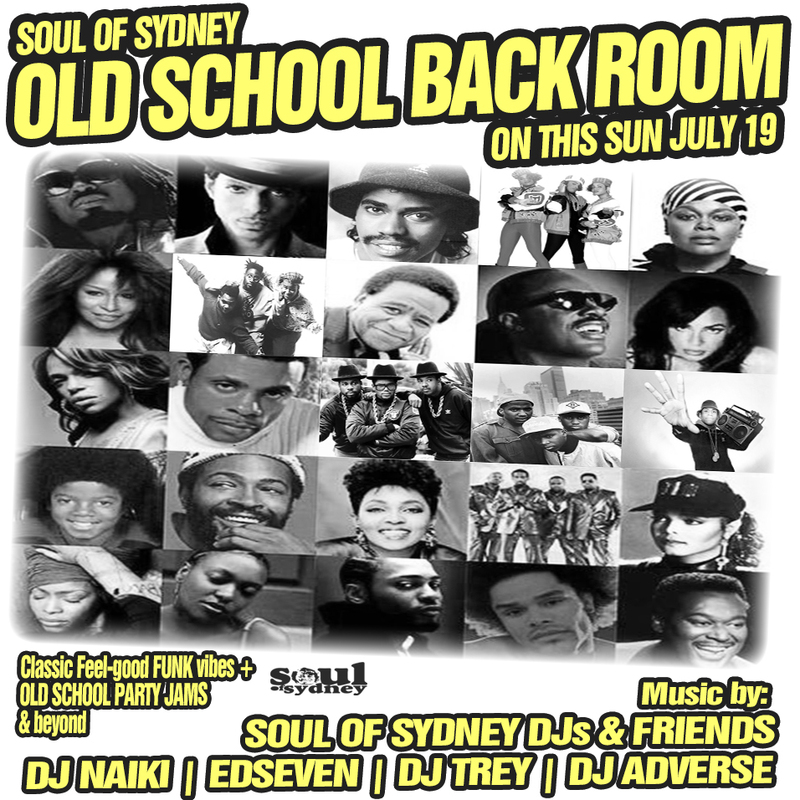 Soul of Sydney Backroom Added to this Sundays Larry Levan Tribute | feat. DJ Naiki, Edseven, DJ Trey, DJ Adverse and more. | SOUL OF SYDNEY FEEL-GOOD FUNK SOUL DISCO vibes & beyond. Soul of Sydney Backroom Added to this Sundays Larry Levan Tribute | feat. DJ Naiki, Edseven, DJ Trey, DJ Adverse and more. ​Good news, we just added an OLD SCHOOL BACK ROOM at this Sundays Larry Levan tribute. Catch some of our favorite selectors throwing down some classic FEEL-GOOD FUNK & OLD SCHOOL PARTY flavors.